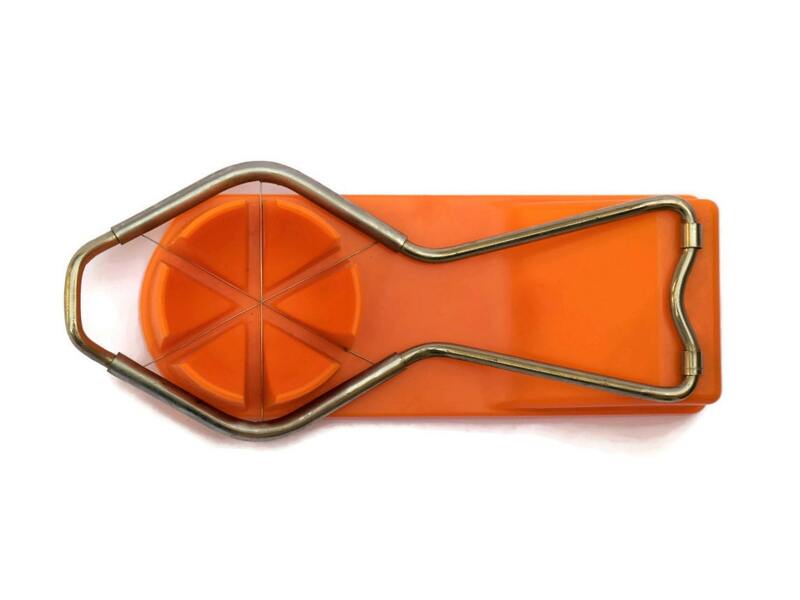 Vintage 1970s Orange Egg Slicer by Gerda. 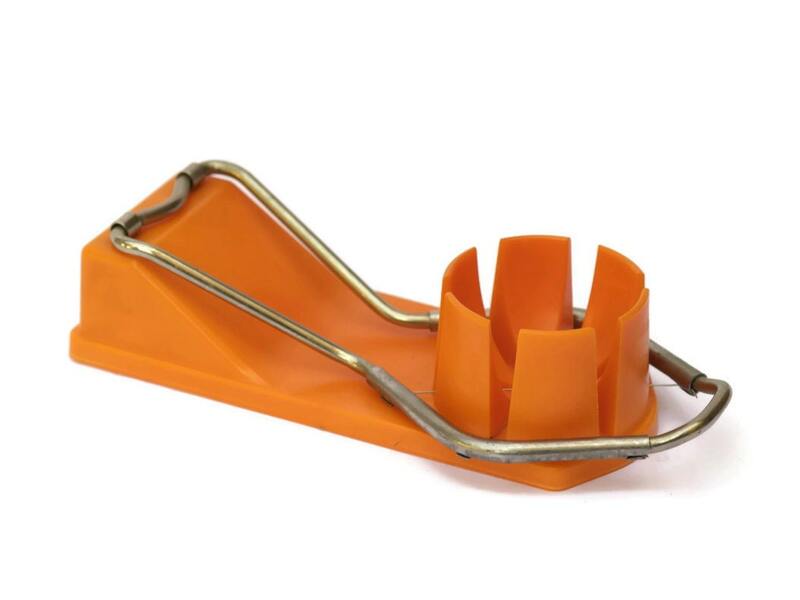 Retro Mushroom Slicer & Egg Mandolin Cutter. 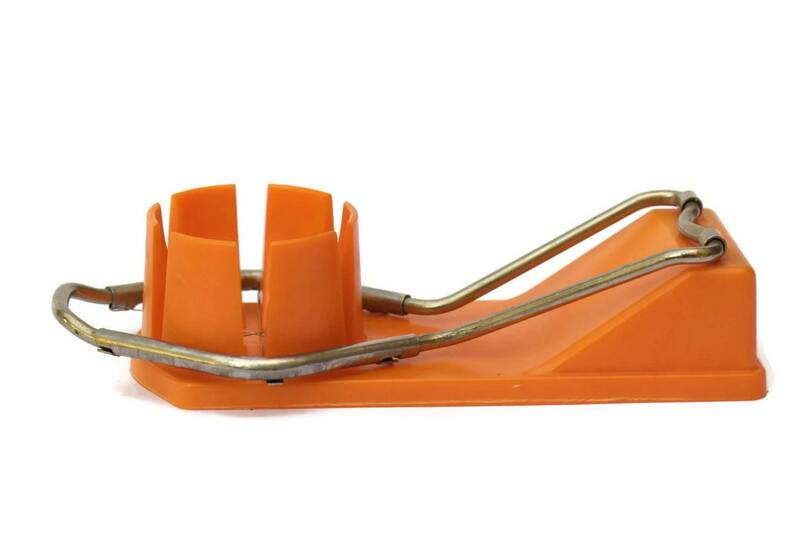 A vintage egg slicer dating to the 1970's and manufactured in Germany by Gerda. 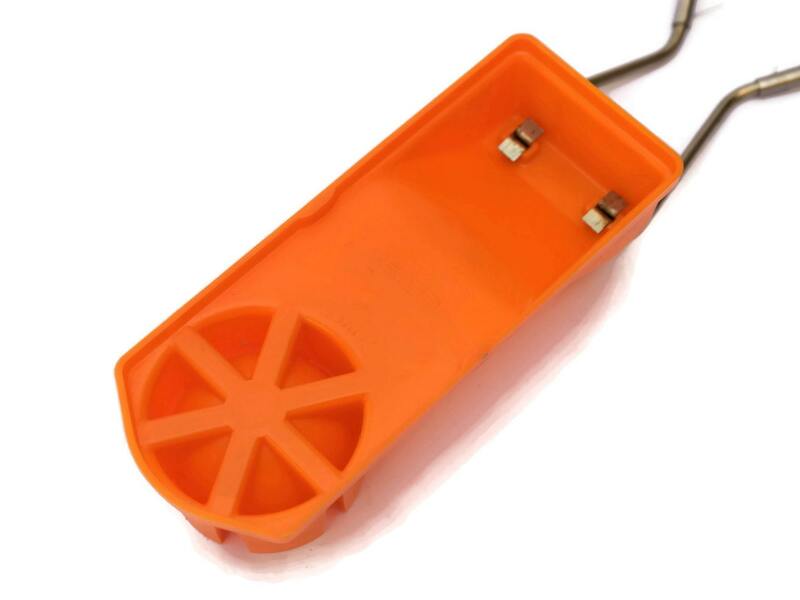 It has been produced from bright orange acrylic with a metal lever and wire cutters. The mandolin cutter slices mushrooms and boiled eggs into 6 equal pieces. The base has been stamped with the manufacturer's mark. DIMENSIONS: 6" long x 1.75" tall x 2" wide (15 cm x 4 cm x 5 cm). 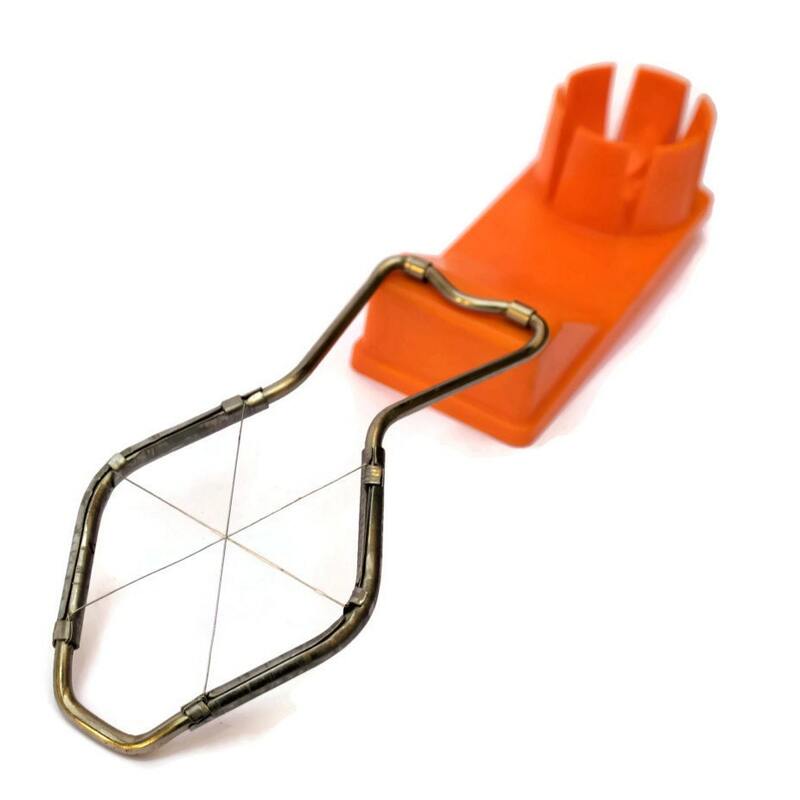 CONDITION: The vintage egg slicer is in good condition. There are light signs of age and patina to the metal.